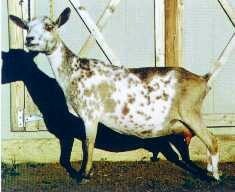 At Flat Rock Farm we produce correct, productive Nigerian Dwarf Dairy Goats for the enjoyment of their owners and the betterment of the breed. We do our utmost to help you further your goals and your herd by helping you select the animal that best fits your needs and offering continued support well after your purchase. Our primary goal has been and will always be the betterment of the breed, whether it occurs in our herd or yours. Please ask permission to use our pictures.